Missed the morning session of Federation Day 2016? Don’t worry. 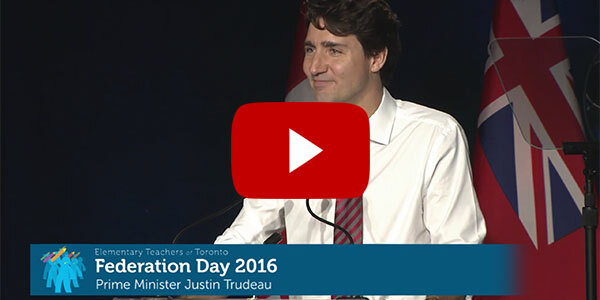 You can now watch Prime Minister Justin Trudeau’s keynote address online, as well as his Q&A session with ETT members. Also available are the opening ceremonies, Kevin Millsip’s facilitated discussion on union activism, and Jane McAlevey’s presentation on union organizing and big bargaining.